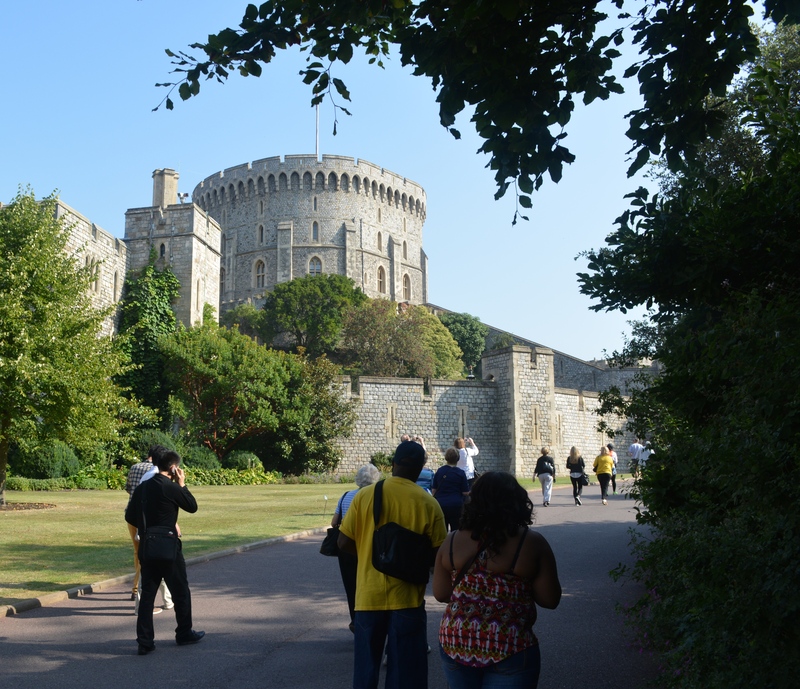 The Middle Ward is the heart of Windsor Castle, a courtyard formed around an artificial hill in the center of the Ward. About 50 feet high, the hill was formed from the excavated material from the surrounding ditch. Atop the hill sits the Round Tower (not really round). Based on the design of an original 12th-centry building, its height was increased an additional 30 feet in the early 19th century to produce a more imposed silhouette. The interior of the Round Tower was redesigned in 1991–93 to provide additional space for the Royal Archives; it now also houses over 450,000 photographs of the Royal Collection. The Upper Ward of Windsor Castle, which we did not have the opportunity to visit, includes the private apartments of the monarch and private apartments for visitors, all centered around a grand quadrangle; the Upper Ward is also the site of the royal library. There are 951 rooms, 225 of which are bedrooms in this section of the castle. The King George IV tower and King John’s tower are next to the state entrance to the state apartments.